Frankie in New Jersey— UNDER APPLICATION REVIEW!! Frankie is 5-month-old cutie who was surrendered to FBV by a loving breeder when it was discovered that he had a heart murmur. Frankie has been diagnosed with a congenital heart condition called pulmonic valve stenosis which has caused him a grade V/VI left basilar systolic heart murmur. The severity of his pulmonic stenosis is moderate, and the long-term prognosis could be very good…but nothing is certain. As he grows, his pulmonic stenosis could become more severe. Treatment for pulmonic stenosis is called balloon dilation/valvuloplasty. Frankie might be a candidate for this surgery in the future, especially if his disease progresses or if he starts to experience symptoms. It is recommended that this surgery be performed in dogs that are adult size and weight. His cardiologist recommends that he is allowed time to grow larger and older before re-evaluating him since he is currently doing well. Frankie is a sweet and fearless little pup. He's very smart and responsive to all commands from his foster family. He knows several commands: sit, come, leave it and come. He is also leash and crate trained. He is only partially housebroken. He knows to use the bathroom outdoors, but he doesn't know to ask to go outside. He will do well with a patient owner who will keep him on a schedule and help him work through the rest of his potty training. He is doing very well and should master the concept with continued positive reinforcement. Given Frankie’s age and continued house training, he will require at least one mid-day potty break if his adopter works away from home. He absolutely loves his foster brother and sister. He follows them everywhere they go and must always be sitting on one of them or cuddling. Frankie's need to constantly be sitting on another dog or sandwiched between two other dogs always makes his foster parents laugh. The only time you won't find him cuddling his foster siblings is if his foster mom leaves the room. He follows her everywhere she goes, but once she's back within his sight, he'll go back to cuddling. Frankie has no regard for personal space and can never be close enough. His foster mom will wake up most mornings with Frankie laying across her neck like a Frenchie scarf, or his foster dad will find him curled in a ball next to his head on his pillow. Frankie is very well mannered and gentle when meeting new humans. He tends to be shy and look to his humans for guidance. But, when it comes to meeting new dogs, Frankie is very eager. He instantly wants to play and learn around his new furry friend. Frankie would do best in a home that has another medium sized dog for him to play with. He relies on his foster siblings for comfort and will need another dog with whom to be best friends. He loves to wrestle with other dogs, and he holds his own around both Frenchies in his foster home. He will not do well in a home with another dog who needs to be fully dominate over him. He loves to play with his foster siblings but will also happily spend an afternoon chewing on a wishbone or antler. Frankie can be protective over high value items. If another dog expects him to back down, he won't. He responds to correction very well, though. Frankie needs to be in a home that fully understands what his medical needs are and what they could develop to be. While nothing is certain, his family needs to be fully committed to making sure Frankie receives continued medical care, consistent monitoring, and any treatment he will need in the future. 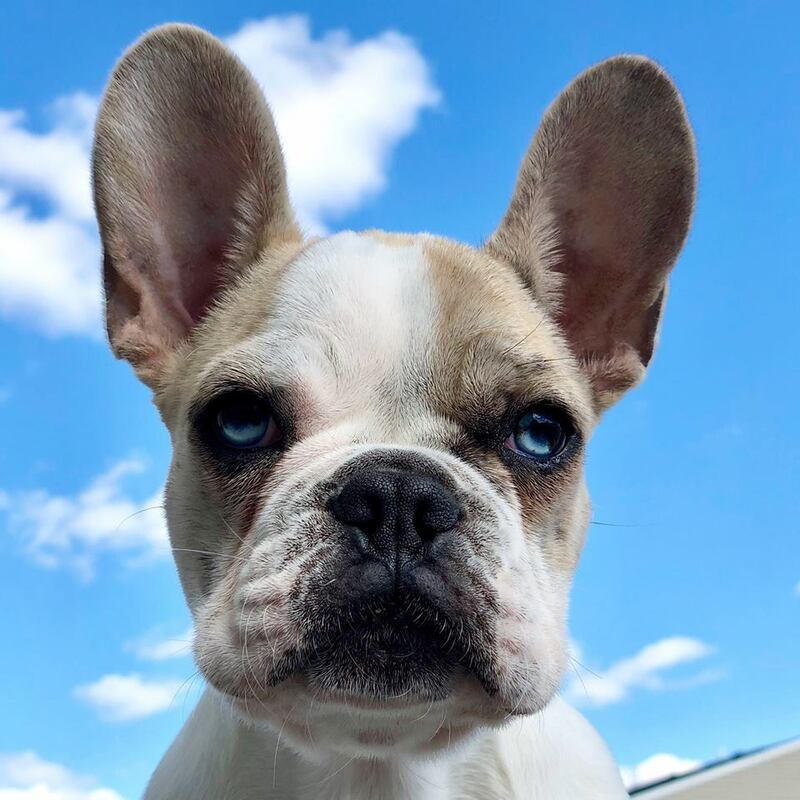 His new family will need to do extensive research to ensure that they are fully aware and able to handle the responsibilities that may arise due to Frankie's heart conditions. 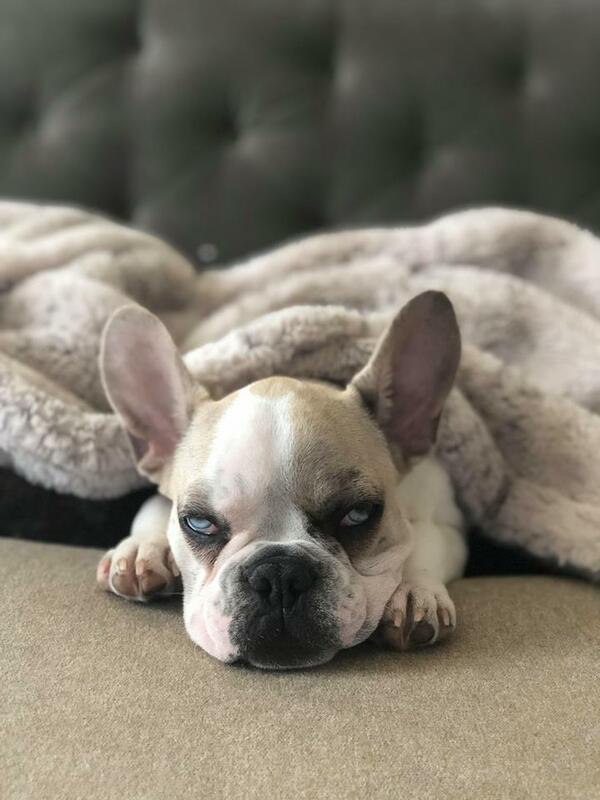 Due to Frankie's pulmonic stenosis and grade V/VI left basilar systolic heart murmur, he will need to be monitored for any lethargy, collapse, exercise intolerance, worsened coughing, or decreased appetite. When he is around nine months old or when he reaches his adult size, his heart will need to be re-evaluated and balloon valvuloplasty discussed. 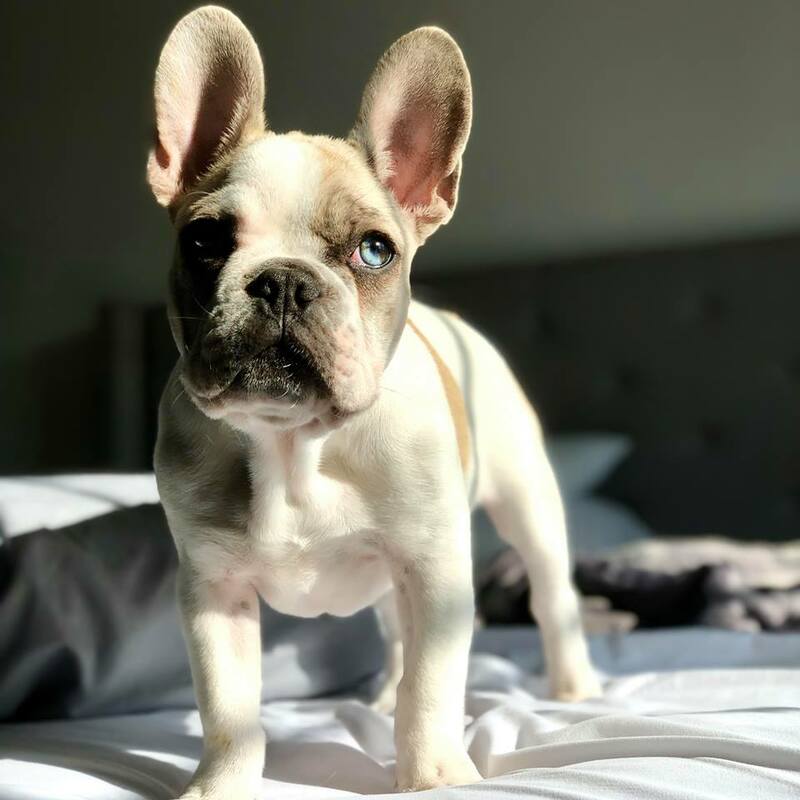 If you feel Frankie is the Frenchie for you, and you are able to manage his medical needs and the financial responsibility this could entail, please apply for this sweet boy!